Why We're Different: We hope that you will find every aspect of our company refreshingly and startlingly different than our competition. Our vision is to help businesses and individuals understand the complexities of insurance, work with clients to assess risk, offer sufficient protection through reliable insurance coverages, and provide value to our clients saving them time and money. Attitude: We are confident, but humble, knowledgeable, but not arrogant. We listen. We ask questions. We love to learn about you and your needs and help you find cost effective insurance solutions. We lay out your options – we advise – you decide. Your success is our passion, and that works out to everyone’s advantage. Integrity: We are up-front when we work to identify a solution for you and admit when our solution does not fit your needs. We will not try to pull the wool over your eyes. We believe we can provide you multiple options to assist you in your decisions to adequately protect your home and business, for the best value. All we ask is a chance to prove it. Passion: We think we have, by far, the most cost-effective offerings. We are excited to show you how we can serve your insurance needs through our extensive company partners. We are also visibly proud of our Gulf Coast and its resilient people and businesses. We are local, and we understand the complexities of insuring coastal risks. We give our clients every reason to sing our praises. When we find a shortcoming, we will work to exceed your expectations. Technology: While we are quite confident that we have by far the best technology in our market segment, we are constantly working to improve. We offer professional, state of the art insurance processing and convenience to you, our clients, as we provide you with choice and convenience at your fingertips, and we will work with you the way you choose – high tech, face-to face, FaceBook, LinkedIn, land line, email, snail-mail, or text. You make the rules. 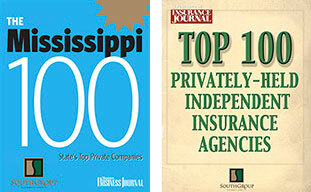 SouthGroup Insurance Services is Mississippi’s largest privately-owned insurance agency with 23 branch locations throughout the state, including our headquarters in Ridgeland. We offer our clients more than 115 years of history and access to niche markets and specialty products and services not found at other agencies. With over 170 associates, we focus on providing risk management solutions that help our clients identify and mitigate the risks they face in business and in life. At SouthGroup, our mission is to build personal relationships and partnerships with our clients as we help them manage risk. Our client relationships are built on a foundation of trust, integrity, teamwork and stability, and we strive to achieve these goals with every transaction and every client, every day. SouthGroup is a Trusted Choice® independent agency. We do not represent any single insurance company; instead, we serve our client’s first and work as their advocate. We help our clients uncover the risks they face and develop a portfolio of insurance and risk management solutions that address their needs. The SouthGroup Risk Reduction System is our unique approach to risk management. It is designed to help our business and personal insurance clients control their total cost of risk and apply the best insurance coverage available. Using our comprehensive risk assessment, we can work closely with our clients to develop a plan to address and manage specific risks over time. We are the only insurance agency in Mississippi using this approach, and coupled with our extensive experience and solid partnerships, we are uniquely positioned to build and implement risk management plans for all kinds of business and individual needs. SouthGroup is heavily focused on investing in our communities and is highly committed to service and leadership. Our annual Make a Difference 5K benefiting the Friends of Children’s Hospital and the Blair E. Batson Hospital for Children in Jackson, MS is just one of the ways in which we give back to our community. We proudly sponsor this race every year, and our agency volunteers are on hand to help make it happen. In addition, every one of our branch locations works closely within its community to help support local development and other causes. 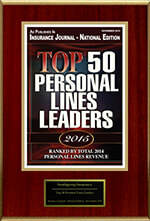 We have longstanding, solid relationships with insurance companies. Some of these relationships extend back over 100 years. Together we provide our clients with expertise, value, knowledge and experience in risks and insurance markets from the ordinary to the unique. We have access to niche markets and specialty products only available from large, national companies, as well as the local knowledge and expertise found with regional carriers. Contact a local SouthGroup office to learn more about our Risk Reduction System and how we approach our client’s unique needs.